This April 29, 2011, file photo shows Paul Walker in Rome, Italy. 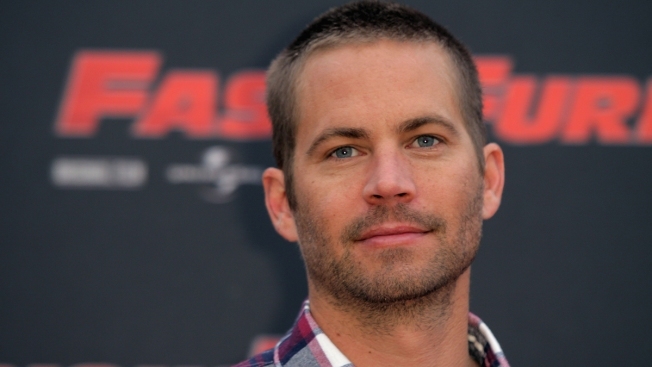 The first trailer for the new documentary "I Am Paul Walker" dropped Thursday, a tribute to the late "Fast and Furious" actor nearly five years after his death. The 2-minute trailer from the Paramount Network shows home videos of Walker as a child and teen, riding a tricycle with his sister and celebrating his 13th birthday. Intimate interviews with family and co-workers are also featured. "He was a big kid," brother Cody Walker says in the clip. Childhood friend Oakley Lehman remembers Walker as a "gun-toting hippie... balance of opposites." He calls his late friend a "lover and fighter." Walker died on Nov. 30, 2013, at the age of 40, when the car he was riding in crashed into a pole and caught fire in Southern California. The driver, friend Roger Rodas, died as well. Walker's acting career spanned nearly 30 years and included popular 90s hits like "Pleasantville," "Varsity Blues" and "She's All That." Walker most notably portrayed Vin Diesel-sidekick Brian O'Conner in the "Fast and Furious" franchise. "If you loved him the way we did, you would say, 'Well, why him and not us?'" says Tyrese Gibson, who starred alongside Walker in the "Fast" movies. "Cinema didn't capture it all, couldn't capture it all," says Rob Cohen, who directed Walker in the first "The Fast and the Furious" film. He says Walker cared about his "daughter and surfing." Wayne Kramer, who directed 2014's "Running Scared," says the actor "made the best of every single minute" and "lived five lifetimes." Aside from acting, Walker worked as a humanitarian. He formed the disaster-relief charity Reach Out Worldwide after visiting Haiti in 2010 following the devastating earthquakes. Uncle Rhett Walker remembers his nephew as a "giver," saying, "I can actually say he did a lot of things that made a lot of difference in a lot of people's lives." "I Am Paul Walker" premiers on the Paramount Network Aug. 11 at 9 p.m. ET.